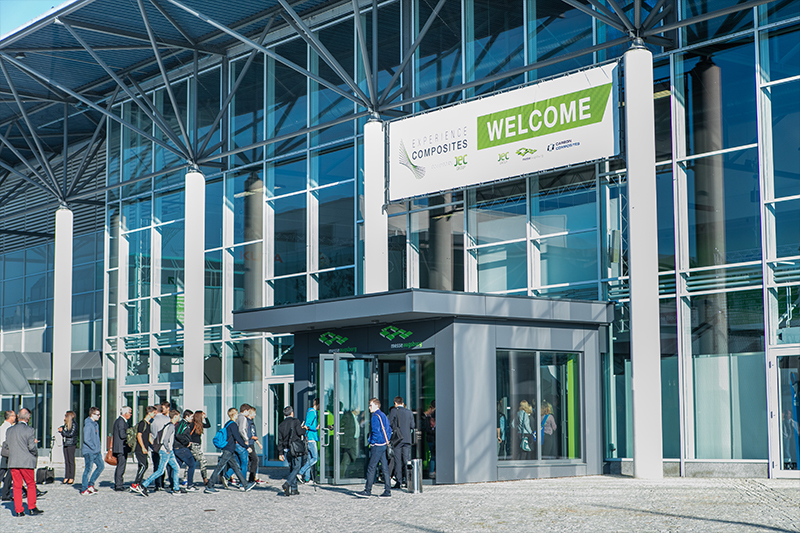 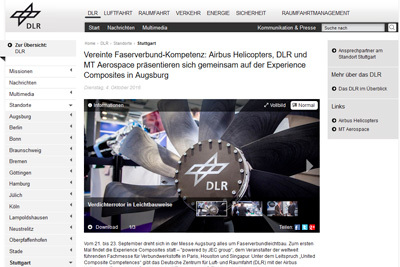 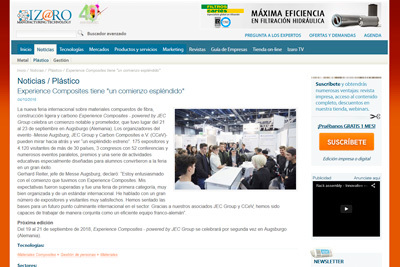 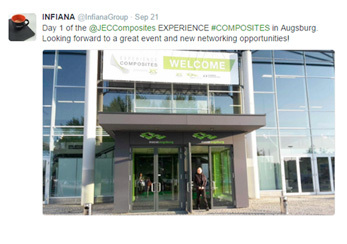 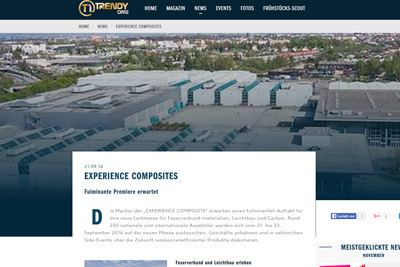 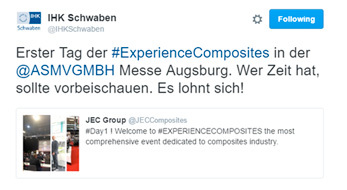 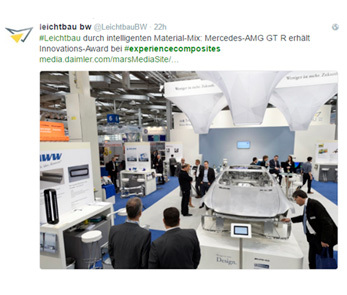 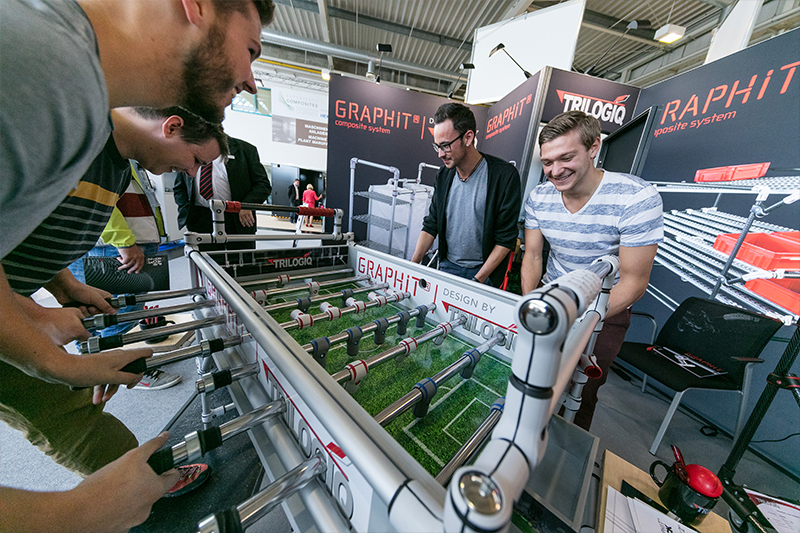 The new international trade fair for composite & advanced materials in Germany, EXPERIENCE COMPOSITES – powered by JEC Group, celebrates a remarkable and promising start: 175 exhibitors and 4,120 attendees from more than 30 countries, 3 congresses with 52 conferences, a startup competition, Innovation awards and a range of educational activities. 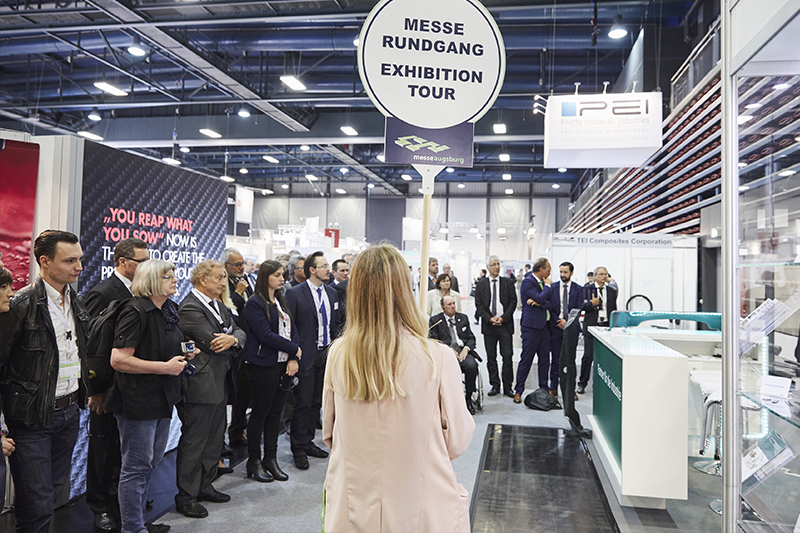 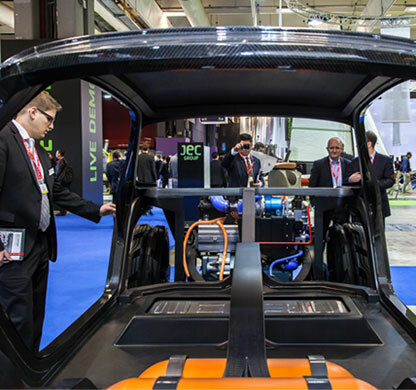 Attendees were able to move around and choose between the venue and many places including several tours and visits in renowned scientific centers or in cutting-edge manufacturers’ plants. 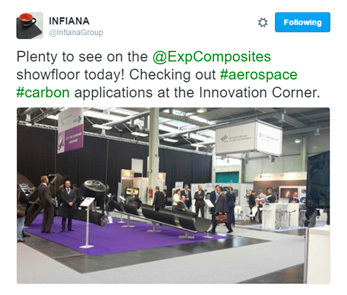 The Innovation Awards Program is a contest that aims at rewarding innovative and future composite technologies. 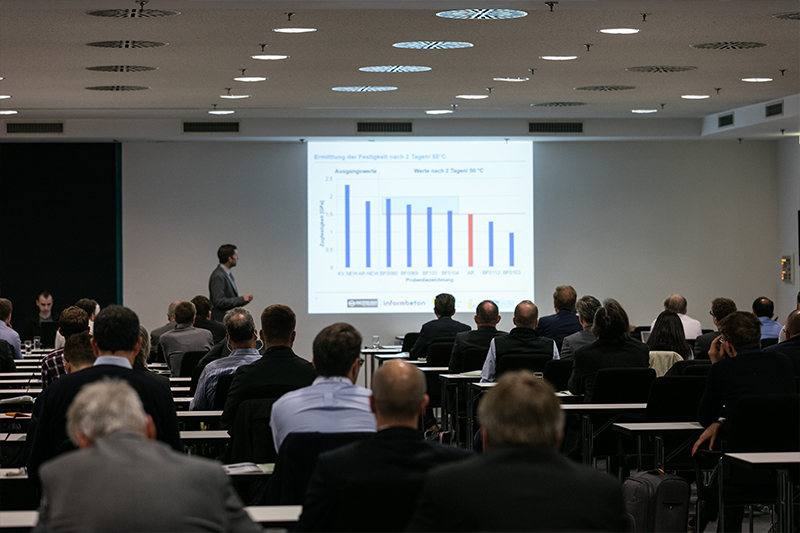 This Program concerns all the chain of value (raw materials, processes, tooling and moulding,…). 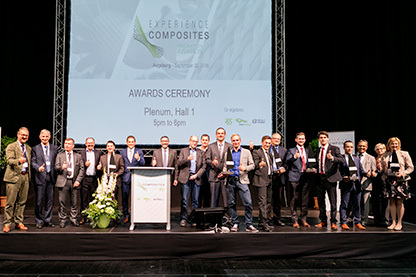 1st Place (ex aequo) : CEVOTEC GmbH (Cash prize : 5000 €) : founded in 2015 in Taufkirchen / Germany by Thorsten Gröne, Cevotec offers a production technology for carbon composites that works with patch laminates and empowers manufacturers to build complex parts in high volumes : Fiber Patch Placement. 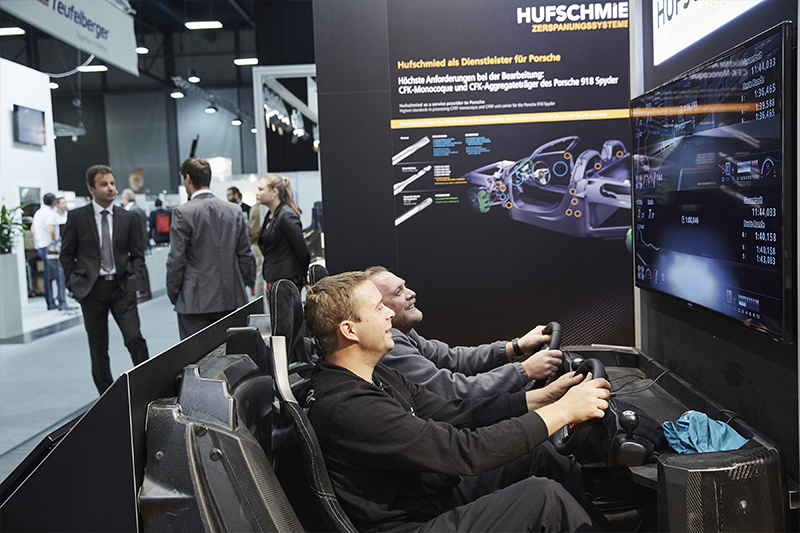 It also provides production systems and composite design software, including robot programming and production simulation. 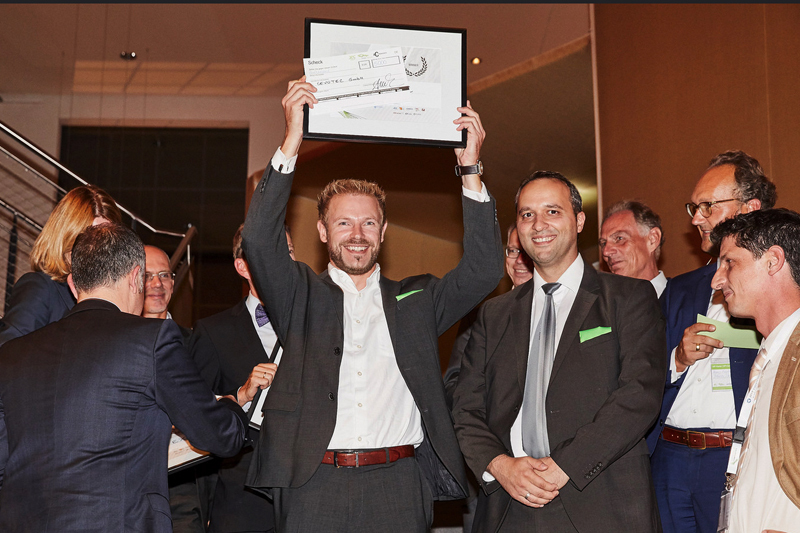 1st Place (ex aequo) : COBRATEX SAS (Cash prize : 5000 €) founded in 2013 in Toulouse / France by Edouard Sherwood, the company’s aim is to sell new bamboo based reinforcements directly to composite part manufacturers. 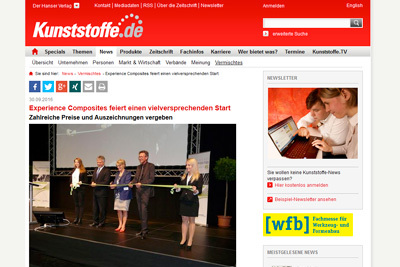 The main products are bobbins and fabrics (unidirectional, multiaxial, woven, …) made with the innovative ribbon. 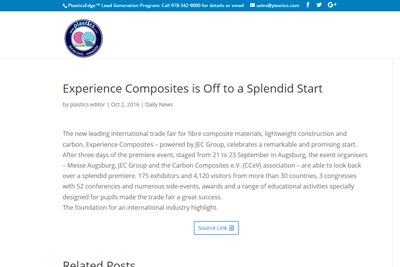 They are three times lighter than standard glass fibre products and are made with industrial means of production guaranteeing homogeneity of mechanical properties. 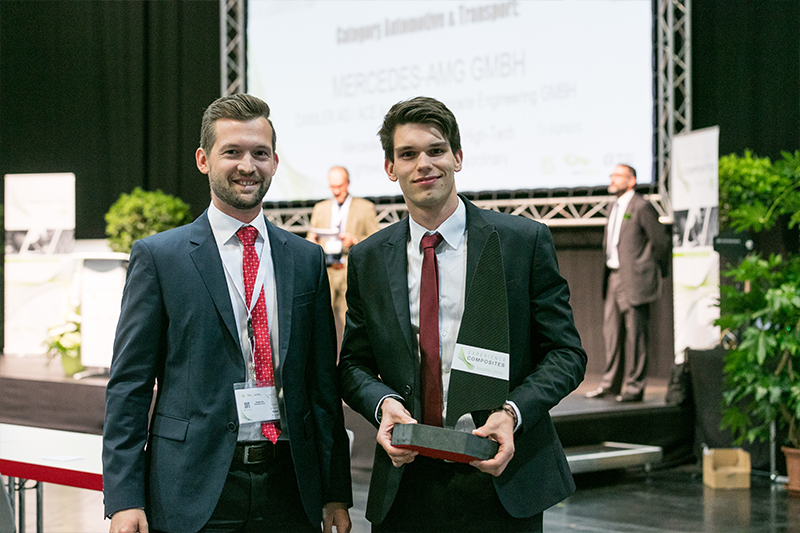 2nd Place : SICONY c / FRAUNHOFER IGCV (prize : free location for one year in Augsburg‘s technology center) founded 2015 in Augsburg / Germany by Benjamin Brockmann and Daniel Grobe, the company offers a digital assistance software to guide and track industrial processes executed by workmen who are thus supported by process instructions using exclusively graphics and pictograms to bypass language barriers. 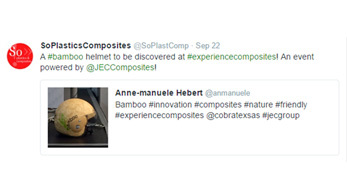 It can be used in the field of manual assembly, maintenance and quality control. 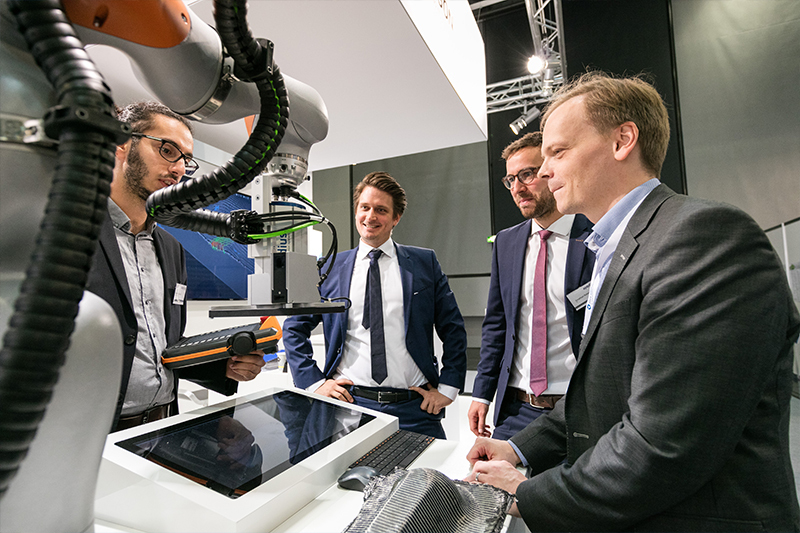 This non-textual approach is unique and Sicony sees itself as enabler for the digital revolution in the German industrial landscape. 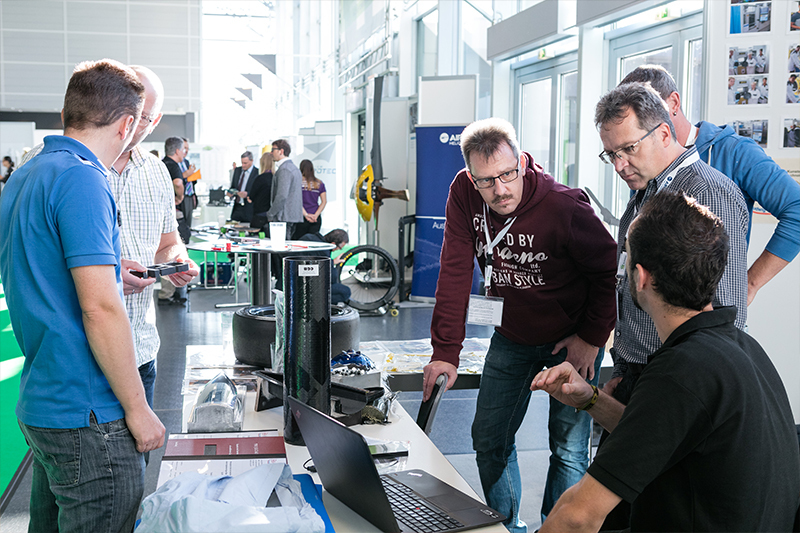 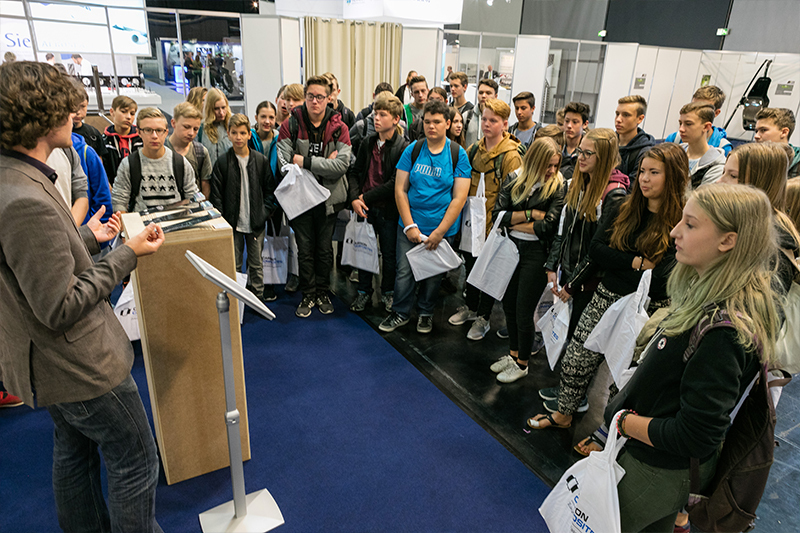 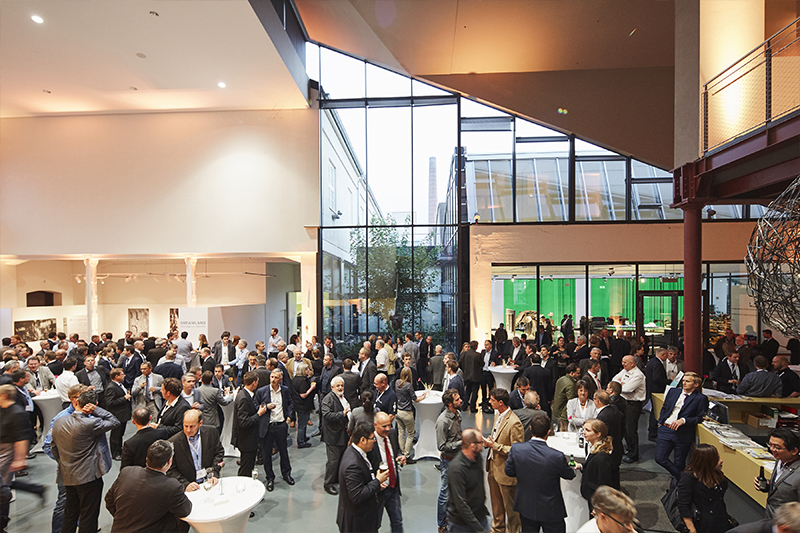 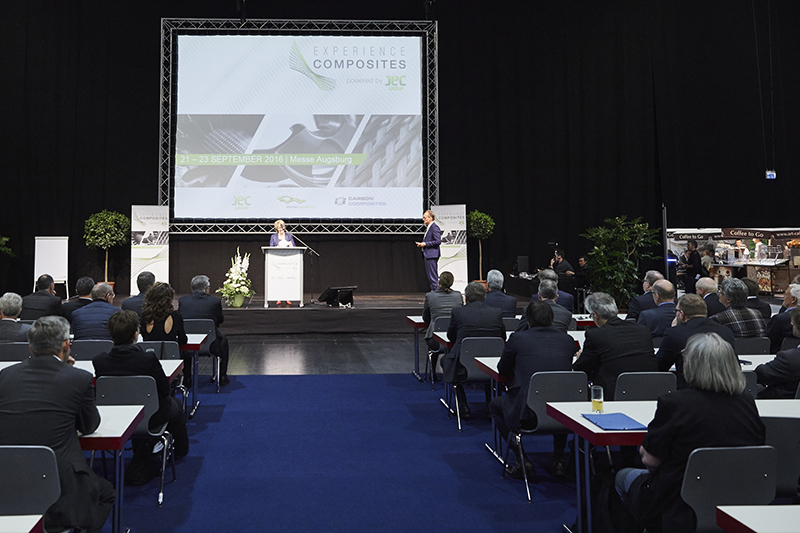 Want to participate to the next edition of Experience Composites ?Join us now in Augsburg on the 21 and 22 of November 2017, and enter the competition for the Innovation Awards. 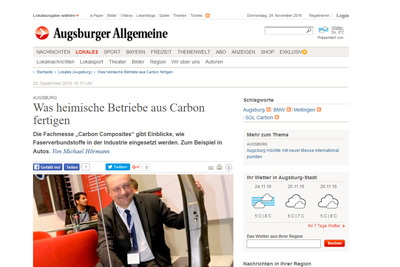 Professor Hubert Jäger, Chairman of the Board of Carbon Composites e.V.